The British vocal ensemble VOCES8 is proud to inspire people through music and share the joy of singing. Touring globally, the group performs an extensive repertory both in its a cappella concerts and in collaborations with leading orchestras, conductors and soloists. Versatility and a celebration of diverse musical expression are central to the ensemble’s performance and education ethos. VOCES8 has performed at many notable venues including Wigmore Hall, Bridgewater Hall, Elbphilharmonie, Cité de la Musique, Vienna Konzerthaus, Tokyo Opera City, NCPA Beijing, Mariinsky Theatre Concert Hall, Victoria Concert Hall Singapore and the Palacio de Bellas Artes Mexico City. This season they will add the Sydney Opera House, Muziekgebouw aan’ t IJ and La Seine Musicale Paris to that list. Keen musical collaborators, this season will see concerts with the Academy of Ancient Music, Manchester Camerata, the Edvard Grieg Kor, Hugo Ticciati, the Orchestre Philharmonique de Monte-Carlo, and with baroque violinist Rachel Podger, with whom the critically acclaimed ‘Guardian Angel’ project will continue. Touring highlights of the season include concerts throughout the UK and Europe, across USA and Japan, and debut visits to Australia and Lithuania. 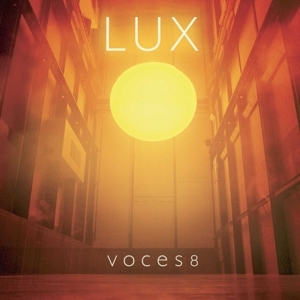 With an on-going programme of recordings, videos and live broadcasts, VOCES8 is heard regularly on international television and radio. The ensemble is a Decca Classics artist and has released acclaimed recordings that have all reached the top of the classical charts. A new album is planned for 2019. 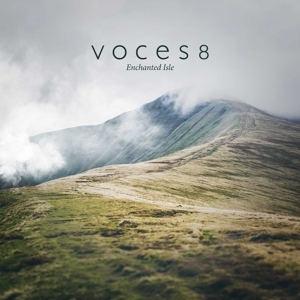 VOCES8 has premiered commissions from Roxanna Panufnik, Alexander Levine, Alec Roth, Ben Parry, Ola Gjeilo, Philip Stopford, Graham Lack, Thomas Hewitt Jones and Owain Park. 2019 will see the premiere of a commission by Jonathan Dove to mark the culmination of his period as the group’s Composer in Residence. VOCES8 is passionate about music education and is the flagship ensemble of the music charity VCM Foundation. Engaging in a broad range of outreach work that reaches up to 40,000 people a year, the group runs an annual programme of workshops and masterclasses at the Foundation’s home in London, the Gresham Centre at St Anne & St Agnes Church. Dedicated to supporting promising young singers, the group awards eight annual choral scholarships through the VOCES8 Scholars initiative. These scholarships are linked to the annual Milton Abbey Summer School at which amateur singers of all ages are invited to work and perform with VOCES8. The ensemble is proud to be the Associate Ensemble for Cambridge University and delivers a Masters programme in choral studies. As official Ambassadors for Edition Peters, the ensemble publishes educational material including the ‘VOCES8 Method’. Developed by Paul Smith, co-founder of VOCES8, this renowned and unique teaching tool is available in four languages and adopts music to enhance development in numeracy, literacy and linguistics. Also available are two anthologies of its arrangements, and an ever-expanding ‘VOCES8 Singles’ range. This season the ensemble becomes Ambassador for the Tido App, an inspirational resource and learning tool created by Edition Peters. The VOCES8 Method and music arrangements will be made available via Tido during the 2018/19 season. VOCES8 is very grateful for support from Arts Council England, the Merchant Taylors’ Company, the Worshipful Company of Plaisterers, Holman Fenwick Willan and T.M.Lewin.